Over the past years, HostelManagement.com has grown into an online and offline community of over 9,000 hostel people around the world. There have been many difficulties with my ability to fund the project as it has grown in size. Since I am no longer doing hostel consulting and do not own a hostel, I've been looking for a solution for maintaining and expanding HostelManagement.com. I've know Darren Overby from Pacific Tradewinds Hostel in San Franciso for a couple of years. I spoke with Darren about the idea of his taking over the reins of the project. I was looking for someone who held the same hostel vision and philosophy. The person needed to have experience with web development and technology as well as be a genuine hostel enthusiast. His hostel, Pacific Tradewinds, is highly rated and community oriented which is exactly the kind of hostel I prefer. After 20 years in business and nearly 25 years in the industry. He is highly knowledgeable about many aspects of running a hostel but also is someone who does not claim to know all the answers. He considers his knowledge to be "open source" and regularly enjoys helping hostels and small business owners. He has experience in web development and founded Hostels.com in 1994 as the first directory that listed all hostels regardless of affiliation. He started the site to support the marketing efforts of independent and owner operated hostels. I want to see HostelManagement.com continue to grow and help hostel owners and managers everywhere, and I believe Darren is the person best suited for this work. I will also continue to advise and guide development of the site and will continue to be active in the forum. If anyone has any questions, feel free to email me or send me a chat message on Skype (j_hostels) anytime. Darren has written about some of the new features that are already in development, below. Hello! First of all, I'd like to say I feel truly honored that Josh has offered me the opportunity to be of service to the hostel industry I know and love. Josh has done an amazing job in creating an active community of hostel industry professionals from literally around the world who use HostelManagement.com to improve their hostels. Josh and I both have extremely similar visions for hostels and feel the best hostels are operated by "hands-on" owners and managers who are passionate about the unique benefits hostels provide. We are also both technology minded and feel the careful application of information technology can be used to empower hostel owners and managers with the tools and knowledge they need to achieve great success in their business. When talking to HostelManagement members the most frequently heard requests for the site are "Better Search" and "Better Organization". These initial improvements will address these suggestions. Below is a preview of these planned features. With over 24,000 forum posts, HostelManagement.com has tons of valuable information to help you run your hostel. However, hostel owners have sometimes told us that they find it challenging to find specific posts in the forum. They sometimes remember seeing a discussion in the past, but are not able to find the information again when they need it. To fix this, we are planning to implement new search software that will do a better job at finding the topics you are looking for in the forum and in the comments. Search is not the only way we want to improve your ability to access the information you need. We are also planning a human created master index page that will contain links to the "best of the best" forum discussions. This will enable members to find the information they need on an organized page by section and sub-section. In particular, this will help members who want to start their own hostel find free valuable business information in the forum. This will be a lot of work initially, but once we have the software in place, moderators will be able to easily add to the index as they find the best discussions. We've heard that forum discussions are great, but it would be sometimes helpful to know who we are talking to, where they are located and what their involvement in the hostel industry is. Therefore, we plan to add the ability for members to create improved profiles. These new optional profile fields will allow members to add their real name, hostel name (if applicable), location, membership type (i.e. Hostel Owner, Aspiring Owner, Manager, Staff, Hostel Enthusiast, Not Stated), Areas of Expertise (i.e. Staffing, Cleaning, Maintenance/Repairs, Housekeeping, Marketing, Finance, Computers, etc.). Initially, this information will all be self-reported. However, in the future, if a Hostel Owner requests it we will verify their ownership of a hostel and post a "verified" badge on their profile. Because, improved profiles means improved community within our industry. HostelManagement.com has always been about hostel owners and enthusiasts sharing information and working together to improve our hostels. By adding these additional searchable fields to the profiles we will be able to add search tools to allow members to find and connect with other members for collaboration. Members (and only members) will be able search for other members based on geography, membership type and area of expertise. So, for example, if you have a question about marketing. You will be able to connect with another member who is has offered to help other hostels with marketing. Time and time again we hear about the need for a "voice" for our industry. We agree. However, we think it's a bad idea for a hostel owner to simply pay some money to a third party organization and let them be your voice. 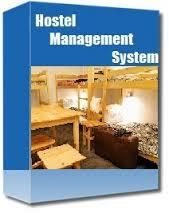 Likewise, we at HostelManagement.com do not think it's our place to represent hostel owners by proxy. Instead we are committed to finding democratic technology and tools for hostels to have their own voice. Surveys are a small step in that direction. Once we start to know the breakdown of the HostelManagement membership and we have verified certain groups, like hostel owners - we can begin to ask your opinions about a variety of issues affecting our industry. We plan to carefully and slowly scale the surveys feature so we can be sure it accurately reflects our collective voice. However, in the beginning you can expect to see surveys asking your opinion about the site and how it can be improved. We welcome your comments, suggestions and questions regarding these planned features. Please contact us here to let us know what you think. Thanks for your support and ongoing commitment to hostels.